In a rare Saturday session of the Kentucky General Assembly, seven bills received final passage and were sent to the desk of Governor Matt Bevin for signature. 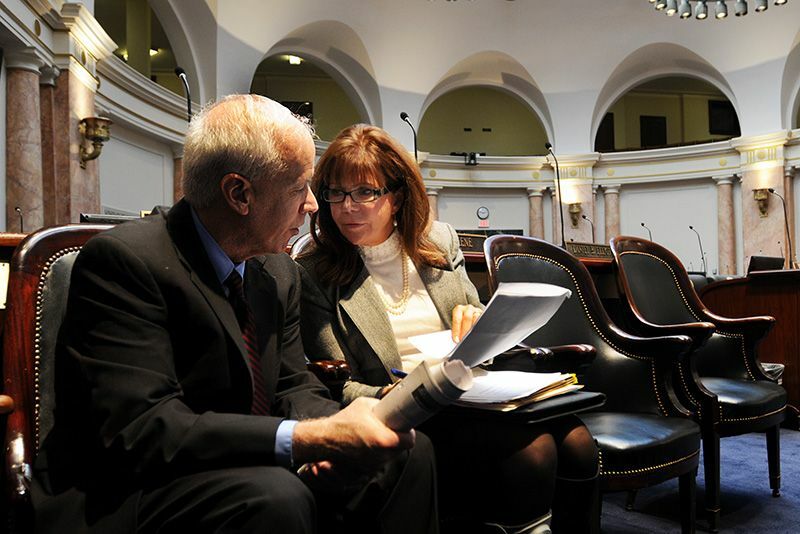 Issues like union membership and abortion are addressed in the legislation adopted Saturday, and all seven bills have an emergency provision included to ensure that they take effect the moment that Bevin signs them. These are the bills passed, with voting records of the Northern Kentucky Legislative Caucus. House Bill 1. HB 1, sponsored by House Speaker Jeff Hoover (R-Jamestown) and Rep. Jim DeCesare (R-Bowling Green) would make Kentucky the nation’s 27th "right-to-work" state. Right-to-work states prohibit mandatory membership in or payment of dues to labor unions. HB 1 received final passage in the Senate by a vote of 25-12. Debate over HB 1 was contentious all week in Frankfort, with supporters arguing that it makes Kentucky more attractive to businesses, and labor unions and Democrats countering that it weakens workers' rights and incomes. Locally, the bill was a partisan one. Republican state representatives Joe Fischer (R-Ft. Thomas), Adam Koenig (R-Erlanger), Kim Moser (R-Taylor Mill), Diane St. Onge (R-Lakeside Park), Sal Santoro (R-Florence), and Addia Wuchner (R-Florence) voted for the bill. Reps. Dennis Keene (D-Wilder) and Arnold Simpson (D-Covington) opposed it. The Bill was also supported by Senators Chris McDaniel (R-Taylor Mill), Wil Schroder (R-Wilder), and John Schickel (R-Union). The bill was expected to be a top priority when the Republicans seized control of the Kentucky House of Representatives in November by a 64-36 margin, topping the Democrats' control for the first time in nearly 100 years. “Kentuckians sent us to Frankfort to work, and we take their direction very seriously,” said Speaker Hoover. “The days of wasting precious time and taxpayer dollars are over. We know how hard Kentuckians work to make life better for themselves and their families, and we intend to approach governing in Frankfort in the same manner." Praise and opposition emerged from all corners of the political world. Senator Mitch McConnell issued a statement from his office in Washington, D.C.
"This is a great day for Kentucky workers who will no longer be forced to pay dues to be members of unions if they fail to represent their best interests," McConnell, the Kentucky Republican who is the U.S. Senate Majority Leader, said. "The Kentucky voters have spoken, and Big Labor bosses should know that the new Republican majority in Frankfort is determined to use their mandate to fight for Kentucky workers, Kentucky jobs, and a stronger Middle Class." "Right to Work laws simply restore the ability of workers to decide for themselves whether union membership is right for them, reaffirming the right of every worker to voluntarily join a union and protecting each individuals right to be employed without being forced to join or pay dues or fees to a union boss for the privilege.," said Mark Mix, president of the National Right to Work Committee. Americans for Prosperity, a national conservative political advocacy organization, also applauded the passage of HB 1. "We’ve been working to bring right to work to Kentucky because no worker should have to choose between missing out on a job or paying forcible dues that go toward causes they may not support," said Julia Crigler, Kentucky state director at Americans for Prosperity. "This policy gives workers more freedom and also incents unions to make sure they’re providing the best service and value to members." Rep. Will Coursey (D-Symsonia) spoke passionately against the bill. A video posted to Facebook showed that more than 46,000 people had watched Coursey's remarks (posted in the video below). Senate Bill 6. SB 6, sponsored by Senate President Robert Stivers (R-Manchester), would require public or private employees (with some exceptions under federal law) to request membership in a labor union in writing before they can be enrolled in that organization. It also specifies that dues or fees paid to labor organizations cannot be withheld from earnings without employee approval. Existing agreements between employers, employees and labor unions made before the legislation takes effect would be exempt from the provisions. SB 6 received final passage in the House by a vote of 57-39. The vote was along party lines for local legislators, with Republicans supporting and Democrats opposing. House Bill 3. 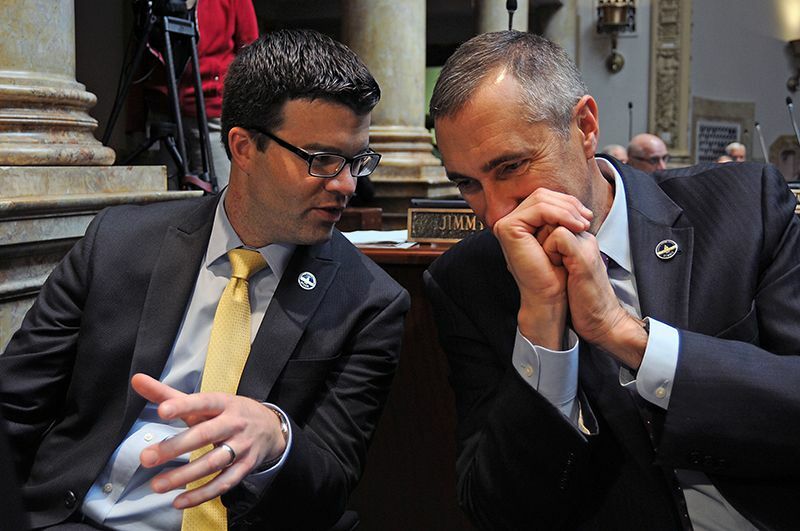 HB 3, sponsored by Speaker Hoover and Rep. Adam Koenig (R-Erlanger) would repeal the state’s prevailing wage law that dictates the hourly base wage for construction workers hired on for certain public works projects. HB 3 received final passage in the Senate by a vote of 25-12. The bill was supported or opposed along party lines among Northern Kentucky legislators. All Republicans voted in favor while both Democrats voted against. House Bill 2. HB 2, sponsored by House Speaker Jeff Hoover and Rep. Addia Wuchner (R-Florence) would require a woman seeking an abortion to have an obstetric ultrasound of her baby explained to her by her health care provider before she could give required informed consent for an abortion. Women could decline to see the ultrasound image or hear the fetal heartbeat if they choose. HB 2 received final passage in the Senate by a vote of 32-5. It passed the House earlier in the week by a vote of 83-12. “In this Commonwealth, it is important that we give women full and informed consent. We have moved historically from a time when women were just given the bare information about medical procedures to making sure that we respect their autonomy and their decision-making process in issues…that impact their lives,” said Wuchner. All Northern Kentucky representatives and senators voted in favor of the bill except for Rep. Keene, who did not vote. Senate Bill 5. 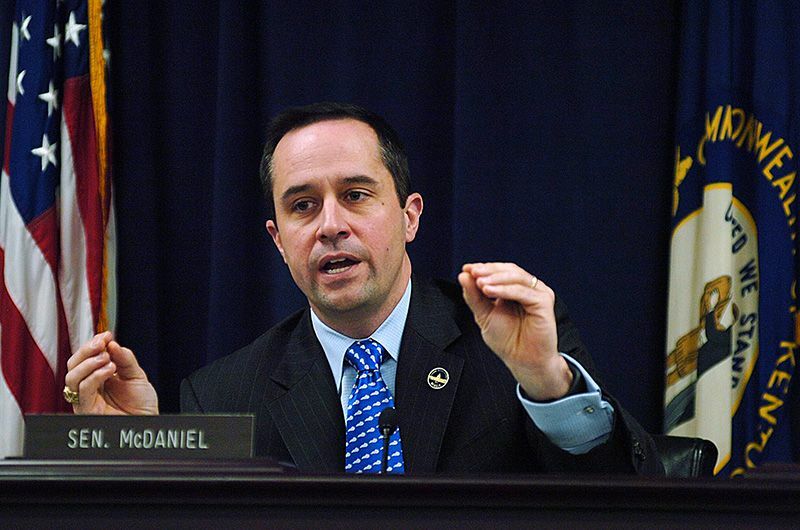 SB 5, sponsored by Sen. Brandon Smith (R-Hazard) and Sen. Whitney Westerfield (R-Hopkinsville), would prohibit abortions in Kentucky at or after 20 weeks of pregnancy. The bill would not apply in cases where an abortion is required to save the life or prevent serious risk of permanent bodily harm to the mother. SB 5 received final passage in the House by a vote of 79-15. All Northern Kentucky legislators supported the bill except for Rep. Keene, who did not vote. Senate Bill 12. SB 12, sponsored by Senate President Stivers, would abolish the current board of trustees of the University of Louisville and clarify the number of members allowed on the new board along with qualifications and conditions of membership. 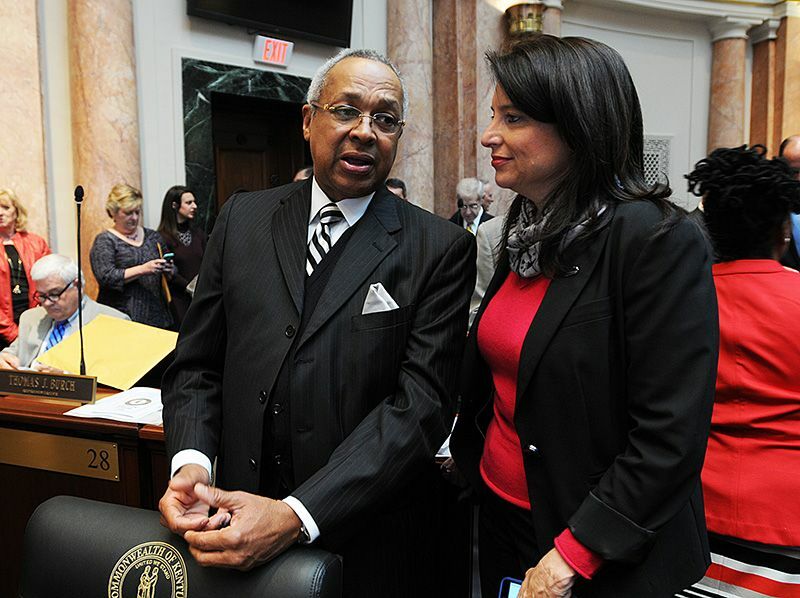 The bill would also require Kentucky Senate confirmation of board appointments. SB 12 received final passage in the House by a vote of 57-35. In the Senate, where the bill passed by a vote of 25 to 11, Senators McDaniel and Schickel voted in favor. Sen. Schroder opposed it. In the House, Republicans supported the bill and Democrats opposed it. Democratic Attorney General Andy Beshear issued a stern warning about the bill. "Today the new supermajority shockingly approved the governor’s illegal actions that resulted in serious sanctions against the University of Louisville," Beshear said. "If (the Southern Association of Colleges and Schools) enforces its written rules then the damage is done to the University of Louisville, but the governor’s claim of ‘absolute authority’ to dissolve any university board at any time for any reason still threatens every other public university and all Kentucky students and their families. I will continue to fight through the court system and in every other forum to protect Kentucky families and to enforce the law." Senate Bill 3. SB 3, sponsored by Sen. Chris McDaniel (R-Taylor Mill) would require that the retirement benefits of current and former General Assembly members be made public. Disclosure would include the member’s name and estimated or actual monthly allowance. SB 3 received final passage in the House by a vote of 95-1. All Northern Kentucky representatives and senators supported the bill. The 2017 legislative session adjourned Saturday for a scheduled break and will then re-convene on Tuesday, Feb. 7. The session is scheduled to end on March 30.